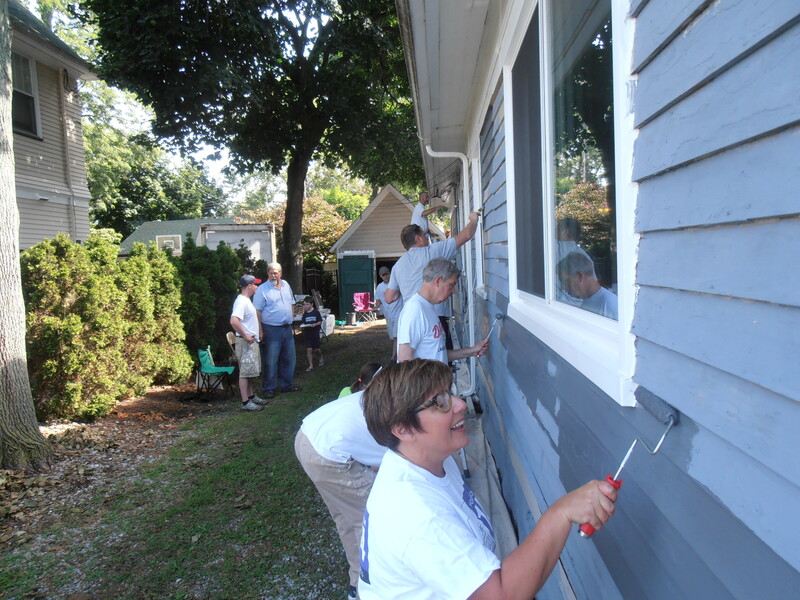 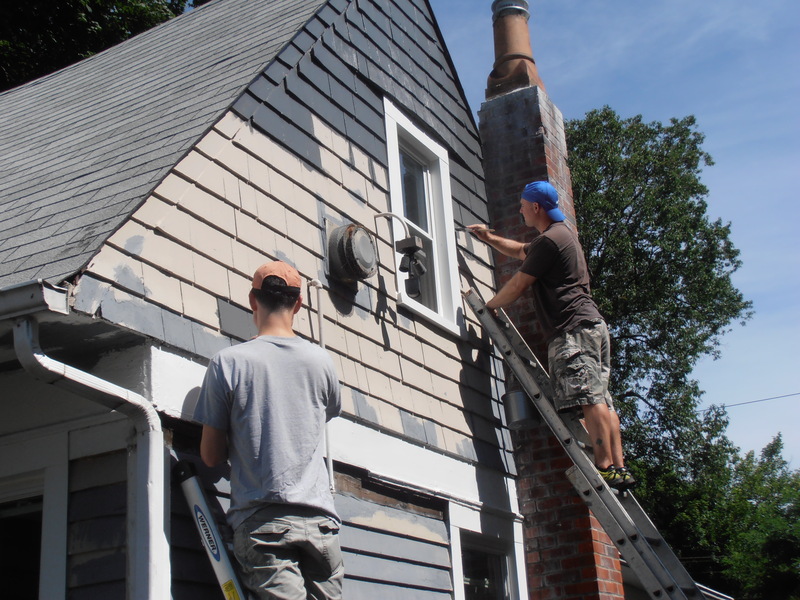 On Saturday, August 15, LakewoodAlive’s staff and board members came together to paint a house for a resident on Riverside Drive, who had been cited by the city for peeling paint. Twenty-five staff, board members and community members were able to get the house painted in just five hours. 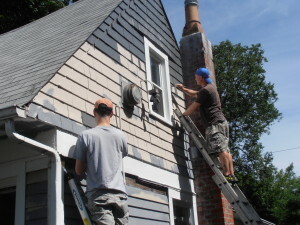 The participants had fun while completing this project and the homeowner is very happy with her newly painted home. 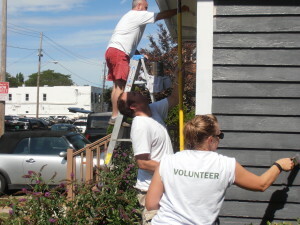 Thank you to the LakewoodAlive board and community members for helping to make this project a success! 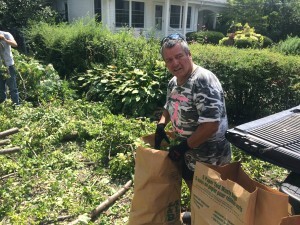 On Sunday, August 16, Cross Point Church worked with LakewoodAlive as part of their Day of Service to help with a yard clean up on Eldred Avenue, for a homeowner who had also been cited by the city. 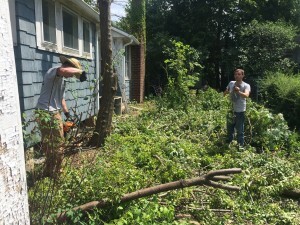 Nine Cross Point Church members worked tirelessly all morning long cutting down trees and removing all of the ivy off of the house. The work of the church members made a world of difference on the house. 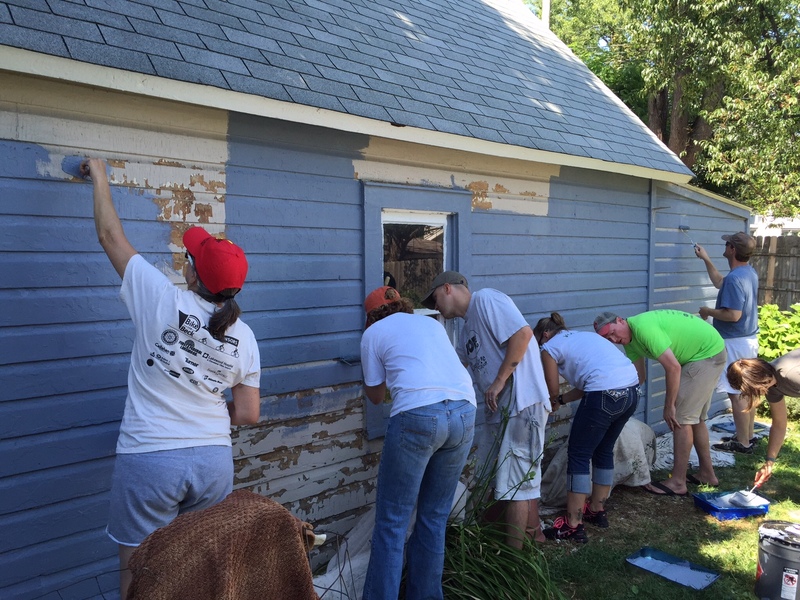 LakewoodAlive thanks Cross Point Church for all of their hard work on this project.